Do you love magic? History? 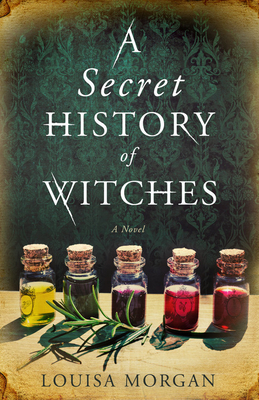 A SECRET HISTORY OF WITCHES traces five generations of one magical family - it's a meaty romp through modern history - witch hunts, inquisitions and much more! Louisa Morgan is a pseudonym for award-winning author Louise Marley. She lives in the Pacific Northwest where she and her Border Terrier, Oscar, ramble the beaches and paths of Washington State. "Epic in scope and heartbreakingly tender in its portrayal of mothers and daughters... Recommended for fans of Nora Roberts and readers of feminist fantasy."